Neste and Viking Line have entered into a partnership contract for the delivery of low-sulfur marine fuel in 2017. 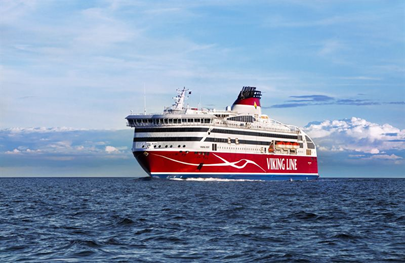 The contract covers Viking Line's Baltic Sea passenger ships. "We are very happy to start this cooperation with Viking Line, as they are a strong brand in the Northern Baltic Sea and a significant operator in the cruise industry. Viking Line's Baltic Sea passenger ships will begin using Neste low-sulfur marine fuel, and our cooperation will be supported by the launch of our distribution service in Sweden at the beginning of the year. We offer Viking Line a high-quality product that is compatible with the market, along with our strong logistics experience," says Neste's CEO, Matti Lievonen. "Neste's low-sulfur marine fuel suits us well. Working to preserve the Baltic Sea and its valuable archipelagos for the future generations is important to us. In addition to providing a high-quality product, Neste brings its valuable supply chain management expertise, and its reliable and fast deliveries. We also appreciate that using the new marine fuel does not require us to make many changes to our ships or commit to new investments," says Viking Line CEO Jan Hanses. Current EU and national regulations demand lower sulfur emissions from ships operating on the Baltic Sea and North Sea and in the English Channel. Neste is currently offering two low-sulfur marine fuels (Neste MDO DMB and Neste RMB), with sulfur concentrations of less than 0.1 percent.